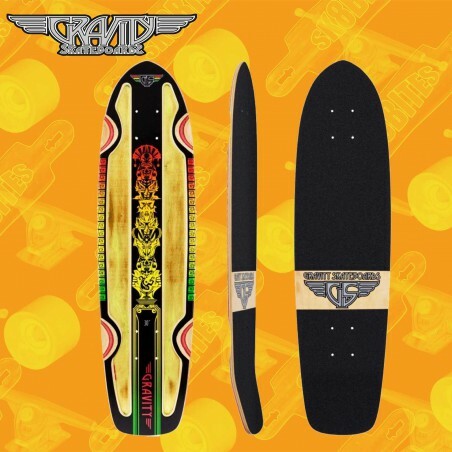 The Gravity Rasta Cruiser 30" Mini Longboard has an all-new routed out design for maximum carvability and toughness. At 30" long and 8" wide, the Rasta Cruiser is the perfect little cruiser for any short trips to the store, or long trips around campus. The most unique feature is the routed out design on the bottom, giving the Rasta cruiser a lightweight feel and durable construction. Wheelbase: 38.5 cm / 15.2”.